Shovelling entails a considerable amount of physical effort and can strain the back and the heart. Snow blowers are often used by people unwilling or unable to perform this labour; people with large driveways or other substantial surfaces, and people who live in areas with long lasting winters with large amounts of snowfall. Others may hire a contractor with a plow bearing truck or a shovel. After a large snowfall, businessmen with plow trucks often drive through cities offering to plow for money. In some places, laws require homeowners to clear snow from the public sidewalk in front of their house, as well as a pathway on their own property to their mailbox. Those who fail to do so, depending on the jurisdiction’s laws, may experience fines and may be civilly liable for injuries suffered by another on a surface that they were required to clear. In some jurisdictions, such as New York, private home owners who shovel are held civilly liable for others’ injuries incurred by falling in areas that have been shovelled. Cleaning off and freeing one’s vehicle is another matter. Some people who need their vehicles will only do barely what is necessary in order to drive the vehicle and remove it from its space. Failure to clear all the snow and ice from a vehicle causes hazards by impairing the driver’s visibility, and ice from the roofs of driven vehicles can cause crashes. In some jurisdictions, motorists who fail to clear snow from their vehicle entirely may be fined. Others may be more thorough in this process. Buyers engineering, manufacturing and assembly takes place in the USA where they were founded in 1946. By taking care of their customers, staying on the cutting edge of innovation and offering incredible value, they have grown from a modest distributor of truck parts – into a leader in the truck equipment industry. Buyers stands behind their brands with the power of a strong family of companies working together to offer the broadest range of products in the industry. Because they design, fabricate, forge, rotationally mold and powder coat components themselves, they’re determined to provide value to their customers. They are constantly re-designing processes, products and materials to keep up with a more demanding world. Their state-of-the-art engineering facility houses new product development and prototyping, allowing for unmatched speed going from the drawing board – to showroom. Buyers doesn’t let up, because the world won’t slow down. Monroe Truck Equipment, Inc. (MTE) is relatively young in the industry (established in 1958) compared to some, however, they have grown the fastest and become one of the largest because of their “HANDS ON” management style, flexibility, sense of urgency and willingness to listen and react to their customers. From their roots as a one-man blacksmith shop, they have evolved into their present day form through perseverance, pride in their above-average work, products and techniques. They distribute, install and paint truck equipment and pickup truck accessories, in addition to manufacturing a complete line of Snow & Ice Control equipment. 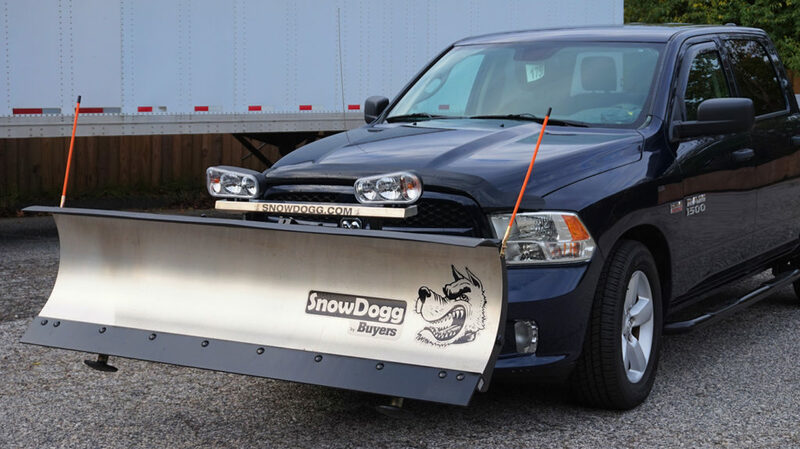 Founded in 1878, Good Roads is Americas original snow removal equipment manufacturer. Now a part of the nations largest family owned and operated truck equipment manufacturer The Godwin Group, Good Roads continues its tradition of manufacturing quality, industry proven products at affordable prices. Good Roads patented the first four wheel grader in 1889, and manufactured the first snow plow ever built specifically for use with motor equipment in 1913. 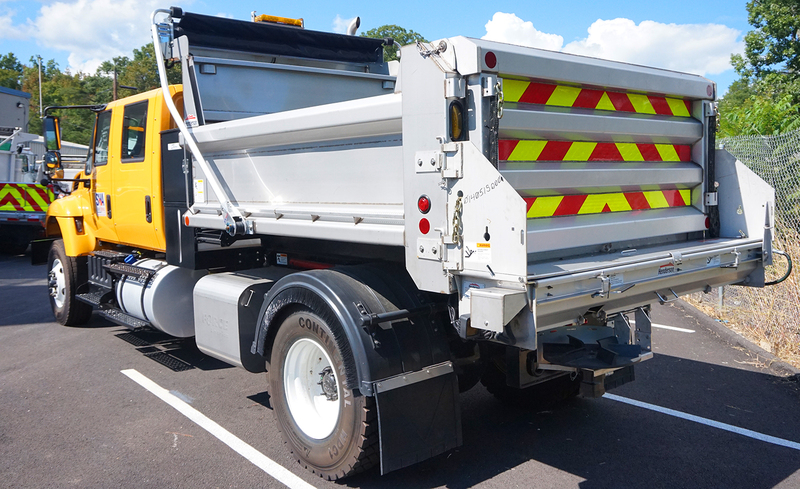 It was designed to meet the exacting requirements outlined by engineers of the New York City Street Cleaning Bureau. 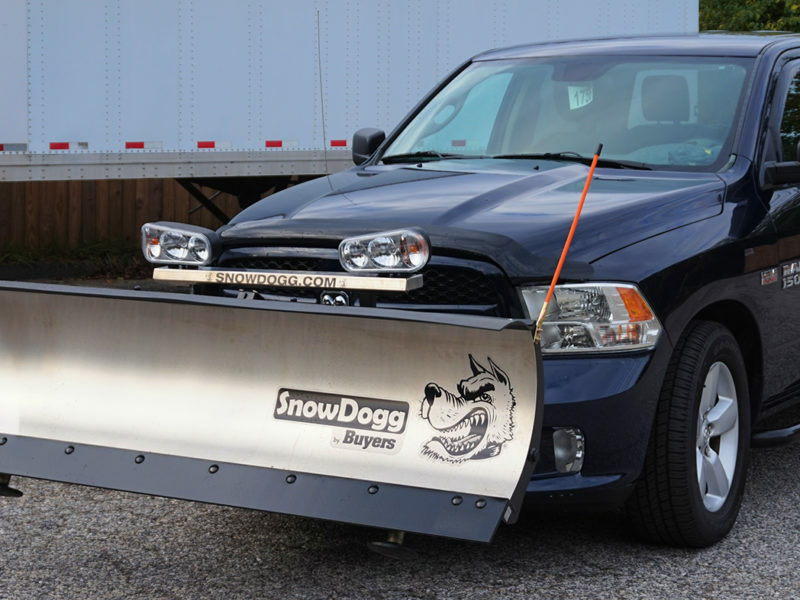 Throughout the first half of the century, Good Roads manufactured 75% of all snow plows used in the United States. Since that time, Good Roads has been a staple in the snow removal industry with a reputation for dependability and product innovation. BOSS began manufacturing snow plows in Iron Mountain, MI in 1985. 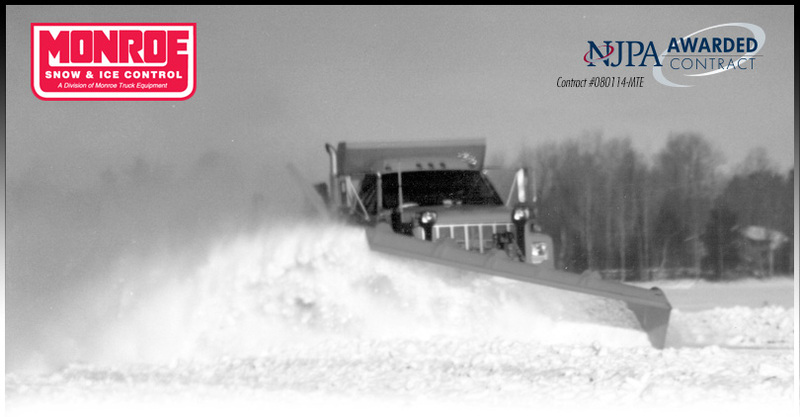 In the early years, the company was focused on taking a revolutionary and untested product design and improving it to meet the quality and durability expectations of the commercial snow removal professional. Today, BOSS is well-known in the snow and ice management business with a growing line-up of plows for trucks, UTVs, and ATVs, salt and sand spreaders and box plows built for the snow and ice management professional, as well as the homeowner. All products are designed for ease of use, quality, and durability. With a market competitive warranty, uncompromising quality and high level of craftsmanship, BOSS has grown to be a leader in the sale of truck plows. 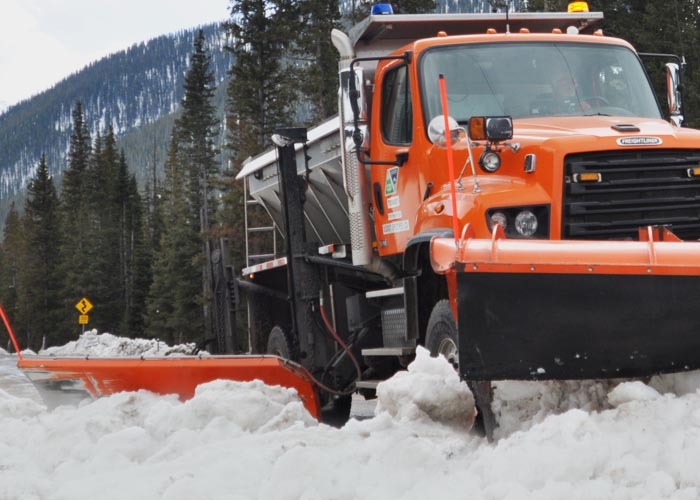 Henderson Products, Inc. is one of North America’s leading manufacturers and upfitter of heavy-duty municipal snow and ice work truck equipment. Their products are used by an array of customers including state departments of transportation, cities, counties, townships and other governmental agencies. As a custom manufacturer, they have the unique ability to meet nearly any application and equipment specification their customers require. 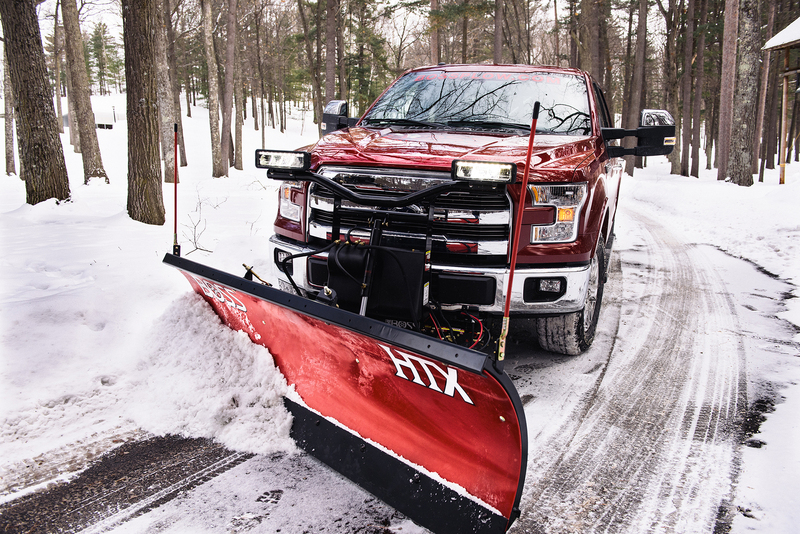 With six installation and service locations, Henderson Products ensures their customers the most complete snow and ice fighting solutions and service available. Regional preferences are taken into account so that performance, desired features and all necessary functions are satisfied for each customer. This level of customer commitment has helped position Henderson as a preferred source and recognized complete solution supplier of snow and ice control equipment. 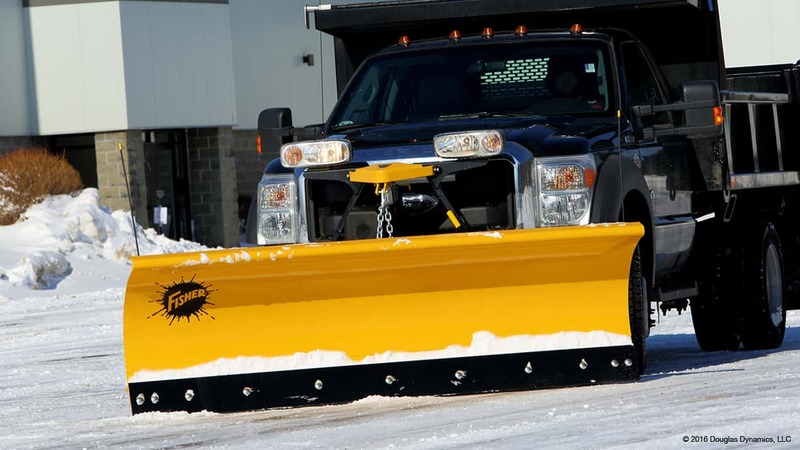 Everest Equipment designs and manufactures a wide range of top-quality snow removal and ice control products, backed by the industry’s strongest dealer network, to help our customers maintain safe and efficient roads. The Company’s products are at the forefront of snow removal equipment technology. Everest markets its products under some of the most trusted brands in the industry. Everest Equipment strives to be the industry leader in quality and innovation. Everest combines the performance, ruggedness and longevity of its product lines with its deeply rooted commitment to quality assurance and customer service. Everest utilizes state-of-the-art production and design technologies in a manufacturing facility in Ayer’s Cliff, Quebec; they’re also the leading designer and manufacturer of custom underground construction forms in North America for vehicular, water/sewage and hydro-electric tunnels. 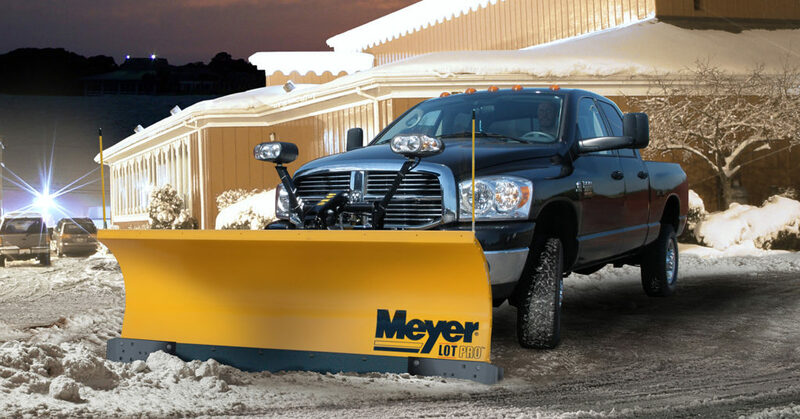 In 1926, Meyer Products began building snowplows on a farm in Newburgh, New York. It was then and there Meyer became the innovator, and pioneer in manufacturing highly reliable snow and ice control equipment. Throughout their years in business, Meyer has been fully committed to fulfilling their customer’s needs and expectations. In September 2015, Meyer Products, along with Meyer’s sister company Swenson Spreader, joined the ASH Group, a leading European-based manufacturer of premium snow plows, spreaders, control systems and related products. The ASH Group is the parent company of European brands Schmidt and Aebi, globally offering a comprehensive and technologically advanced range of products for winter and summer maintenance focused primarily on the industrial, commercial, airport and railway sectors. Schmidt is a familiar name in the snow and ice management industry, manufacturing an array of advanced plows, spreaders and related products. Aebi manufactures heavy-duty equipment for agricultural applications. Valk Manufacturing Company was established by Paul Valk in New Kingstown, PA in 1952. The original 4000 square foot facility produced cutting edges for earth and snow moving equipment. The company grew rapidly and several additions were constructed. By 1959, the facility measured 40,000 square feet and large municipal-type snowplows were added to the product list. Growth accelerated through the 1960’s as the breadth of Valk’s product line grew and its customer base expanded throughout North America and to many worldwide locations. During this period the plant additions increased its size to 60,000 square feet. Growth since then has been constant; more additions have added about 20,000 square feet and additional land was recently purchased for future expansion. When complete total plant size will exceed 125,000 square feet. Valk has stayed on the forefront of technology with the purchase of state of the art production equipment. Automatic shear lines, multiple spindle gang drills, 750 ton hydraulic multiple punches, a 750 kilowatt induction hardening and heat treating line, a computer controlled tempering oven, CNC drills, CNC plasma cutters, robotic welders, and automatic paint lines, among others, help Valk maintain a high level of quality and production efficiency. Current and future projects will assure that Valk stays ahead of the competition with the latest equipment available. Air-Flo Manufacturing Co. was founded in the 1940’s by three brothers looking for a better way to harvest onions. To automate the old style of manually harvesting onions, the company’s founders developed and patented a mechanical harvester. The unique design used the principle of “air flow” to operate the harvester. Their design changed the way onions were harvested and although Air-Flo no longer builds harvesters, that same basic design is still in use today. Air-Flo’s growth and success is attributed to the company’s manufacturing core objectives that the original founding brothers developed. The focus on innovative design, quality construction, and competitive pricing has served the company well in the past, and continues as a guide today. The company is still family owned and operated by the second generation of Musso brothers. As Air-Flo looks toward the future, with an eye to its core manufacturing values, the outlook is very promising as the company continues to develop and build products for the truck equipment industry. Dedication to high quality products and unparalleled service has been a Fisher tradition from the start. 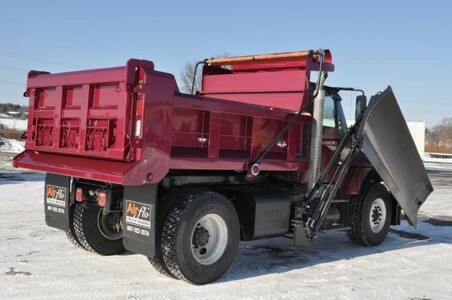 A proven and a trusted company, Fisher Engineering has been producing snow plows, as well as hopper and tailgate mounted ice control spreaders, for more than 70 years in the coastal city of Rockland, ME. Their expertise has earned them a solid reputation among snow plow professionals, enabling their partners to help communities recover from weather events faster and remain safe. Fisher works hard to anticipate the needs of their business partners, and find creative solutions to their problems. Fisher has deeply experienced professionals in the business ready to provide support whenever and wherever our customers need it. A century in the making, Henke Manufacturing has evolved to become an industry leader in designing and building a full line of first quality, commercial duty snow management equipment and allied products. Their commitment to superior product design and exceptional performance continues to fuel the growth of the Henke brand; and, their products are focused on meeting the snow management challenges faced by city/county/state governmental agencies, as well as the surface maintenance operations of commercial and industrial facilities. Henke’s broad product line provides a wide range of snowplows and spreaders, along with hitches, attachments and accessories. They support their products with a robust Parts Department and responsive Service Department. Centrally located in the greater Kansas City area, Henke offers its products through a network of commercial truck and construction equipment dealers throughout the United States and Canada.